A detailed DVD and extensive notes make it possible to study this course in the comfort of your own home. Peter’s successful and unique full body ‘Shaker Massage’ Taught in detail by the master Masseur himself! Learn how to give an effective massage to relieve tension and completely ‘relax’ family and friends. Included is an especially recorded DVD with extensive notes showing Peter’s successful and unique full body ‘Shaker Massage’. Therapeutic massage – Trigger Point Therapy and unique ‘Cross Frictions’ for Treating Specific Conditions. 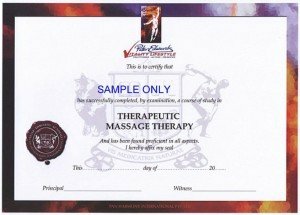 Here, ‘The Master Masseur shares his specialized techniques and shows you the secrets of ‘Finding the points’ and how to discover and develop the power in your own hands to ‘Replace tension – with Peace’. MOXABUSTION – ‘The Second Half of Acupuncture’ – Learn the method of balancing energy of the body and specific techniques for relaxing tissue much deeper than hands can reach. (Notes Parts 1 & 2 are provided). Certificate are available for any of these courses. This is possible following an enrolment, examination and certificate preparation fee of $190.